Your oral health has implications for your overall well-being. Not only does advanced gum disease lead to tooth loss, but research has also linked gum disease to other health conditions, such as diabetes and heart disease. Professional dental cleanings are an essential component of preventing gum disease, but there’s no one-size-fits-all treatment for maintaining healthy teeth and gums. Different patients may require different cleaning procedures, depending on the state of their oral health. Brushing and flossing twice a day is crucial, but even if you practice excellent oral hygiene, plaque buildup is still inevitable. If it’s not removed regularly, it can eventually harden into unsightly tartar, or cause gum infections. For patients with healthy teeth and gums, regular teeth cleanings – or prophylaxis – is sufficient to remove plaque and prevent inflammation. During regular cleanings, a dental hygienist will use a small handheld instrument called a scaler to scrape tartar from your teeth, or an ultrasonic device to shake plaque loose. Prophylaxis takes place on the crowns of your teeth, above the gumline, and most people with good oral health can maintain their smile with twice-yearly prophylactic cleanings. For almost half of the dental patients in the United States, regular prophylaxis isn’t enough to maintain optimal oral health. According to the Centers for Disease Control and Prevention, 47% of American adults aged 30 and over have some form of periodontal disease, a gum infection that can damage the tissue and bone that supports your teeth. The mildest form of gum disease is gingivitis, which causes red, swollen gums that bleed easily. Left untreated, gingivitis can progress to periodontitis, resulting in severe deterioration of the gums and bone, and with time, tooth loss. Fortunately, there is a proven way to help reverse the effects of mild to moderate gum disease. 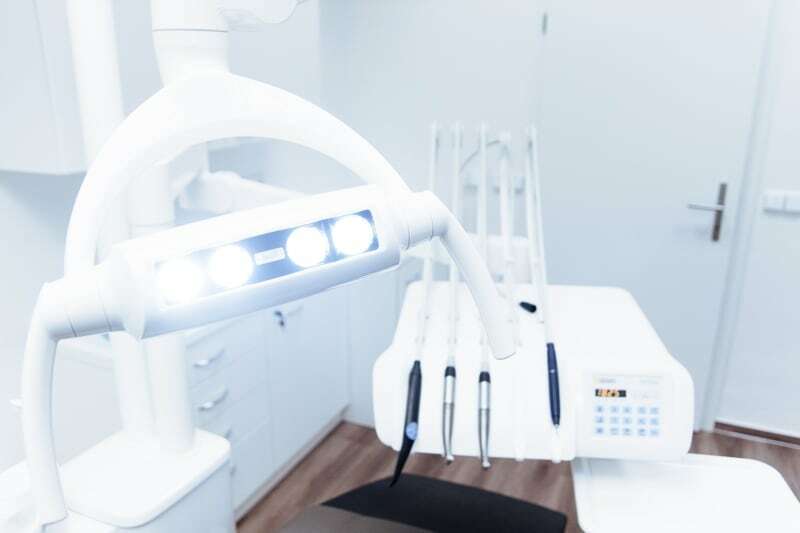 A 1981 study conducted at the University of Michigan found that scaling and root planing, also known as a deep cleaning, was effective in treating patients with mild to moderate gum disease. During scaling, your dentist or dental hygienist will remove the plaque and tartar from your teeth, both above and below your gumline, using handheld instruments, ultrasonic instruments, or a combination of both. Once your teeth are cleaned via scaling, the dental practitioner will then perform root planing to smooth out the roots of your teeth. This two-step process creates a better environment for your gums to reattach back to your teeth, effectively closing any loose pockets. After you’ve undergone a deep cleaning or periodontal surgery you’ll need to keep regular periodontal maintenance visits to maintain your gums and prevent the recurrence of gum disease. A 1984 study in the Journal of Clinical Periodontology showed that harmful, disease-causing bacteria recolonizes underneath the gums as early as one to two months after a deep cleaning. This is why those with a past history of gum disease should return for periodontal maintenance approximately every three months. During a periodontal maintenance visit, your pocket depths are measured and your periodontal status is reassessed. While standard prophylaxis cleans the crowns of your teeth above your gumline, periodontal maintenance goes a little deeper, slightly below the gumline, since you are more susceptible to plaque and tartar buildup based on your past history of gum disease. To ensure optimal oral health, and preserve the integrity of your teeth and gums, patients should visit the dentist every three months for periodontal maintenance. However, the exact intervals may vary depending on the precise condition of your gums. At San Diego Periodontics & Implant Dentistry, we offer a periodontal maintenance program that is customized to fit the needs of each individual patient. Dr. Kwok will evaluate your dental history and the overall state of your teeth and gums, and prepare a treatment plan to optimize your oral health. For questions on our periodontal maintenance program, or your dental health in general, please call our office at (619) 543-0905. This entry was posted in Periodontal Disease and tagged Deep Cleaning, Perio Maintenance, Prophy, Scaling and Root Planing on October 1, 2018 by Kennie Kwok, DMD. Pingback: Why Do My Gums Bleed When I Brush My Teeth?